“Let’s Get to Scooping” – Annalise and her students uncover a shocking truth while investigating the case of Marren Trudeau (Elizabeth Perkins), founder and CEO of a major brokerage firm, who has recently been arrested for insider trading. 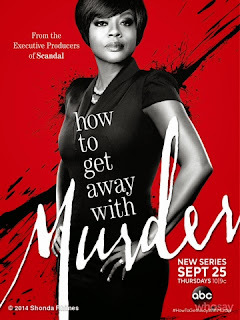 Meanwhile, Wes discovers a cell phone hidden by Rebecca whose contents reveal an unsettling clue in the Lila Stangard murder case, on “How to Get Away with Murder,” THURSDAY October 16 (10:00-11:00 p.m., ET) on the ABC Television Network. Guest starring Elizabeth Perkins as Marren Trudeau, Sara Paxton as Talia Lewis, Alysia Reiner as D.A. Wendy Parks, Niko Pepaj as Pax Curtis, Tom Verica as Sam Keating, Conrad Ricamora as Oliver and Arjun Supta as Kan.
“Let’s Get to Scooping” was written by Erika Green Swafford and directed by Laura Innes. “How to Get Away with Murder” is broadcast in 720 Progressive (720P), ABC’s selected HDTV format, with 5.1-channel surround sound. This program carries a TV-14,D,L,S,V parental guideline.